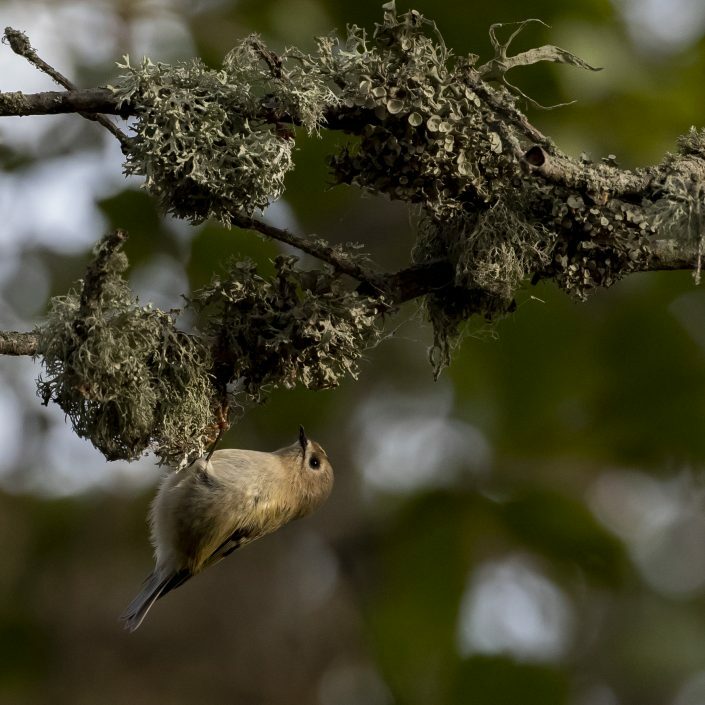 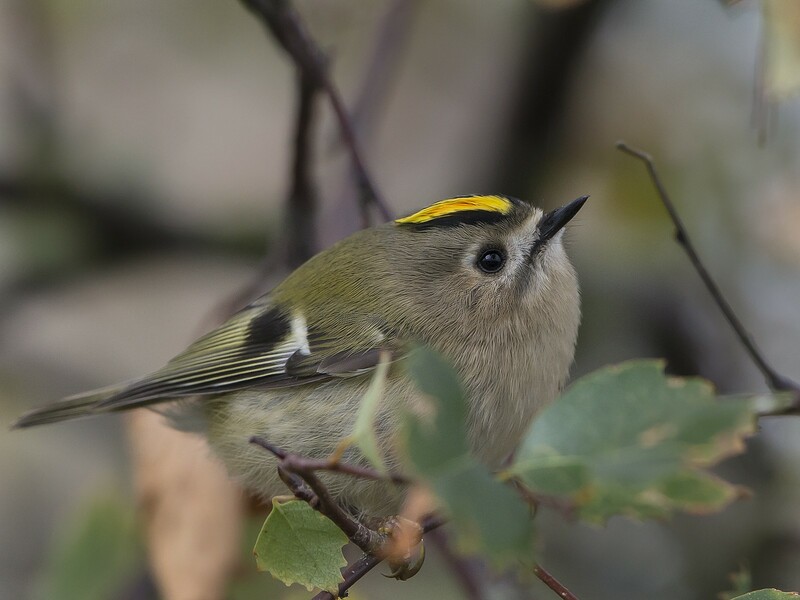 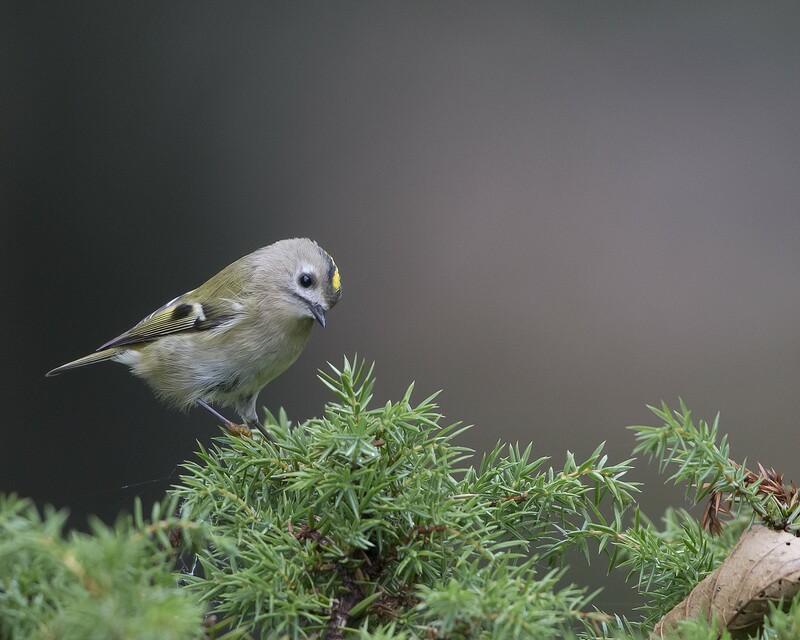 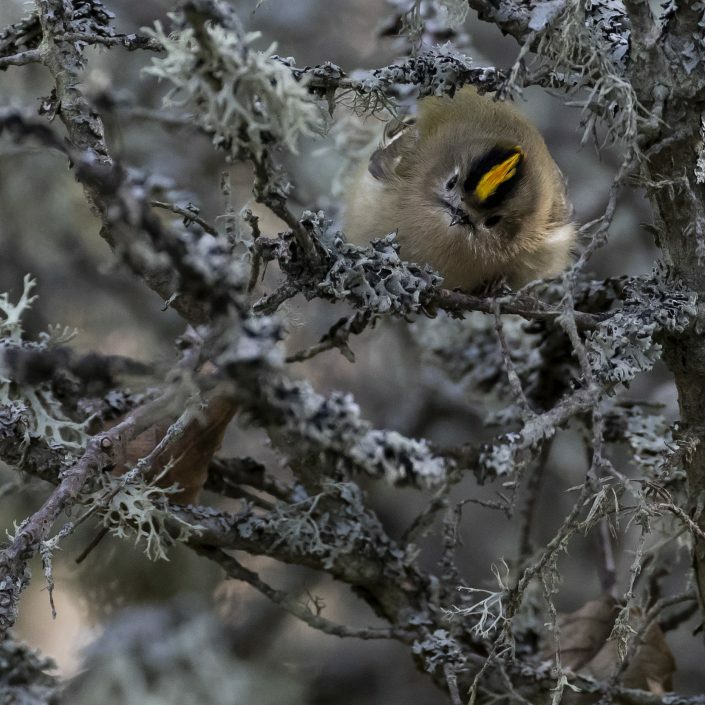 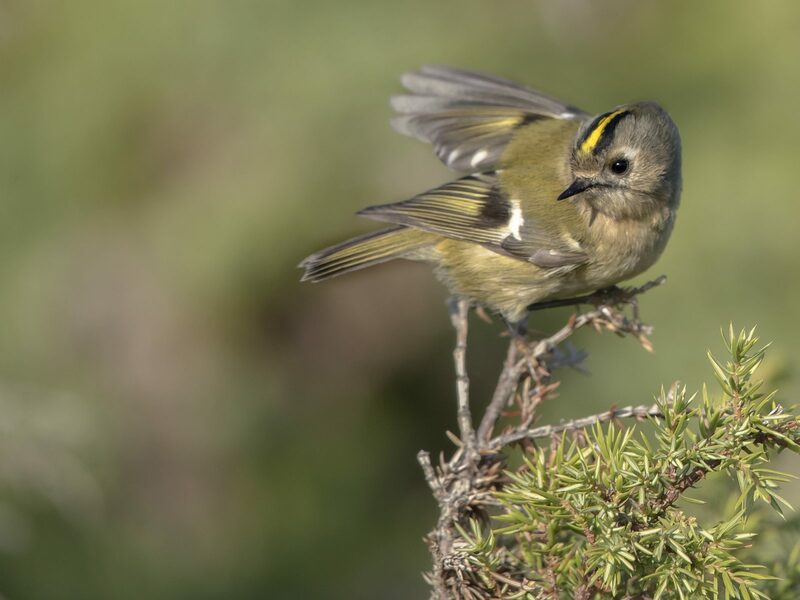 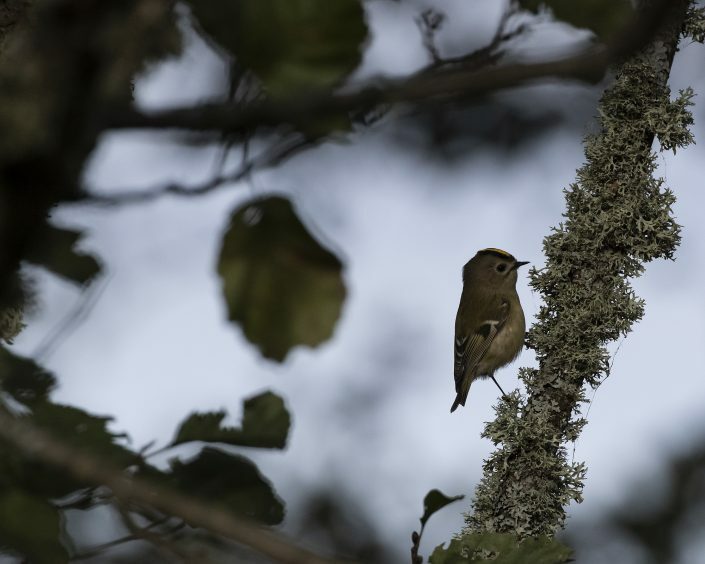 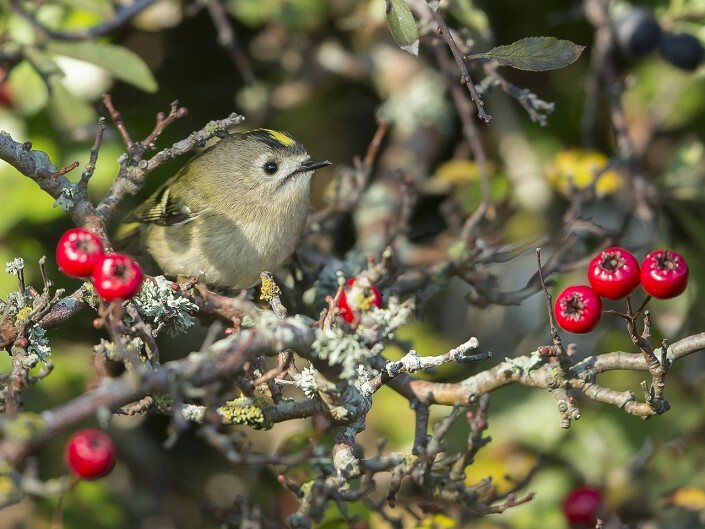 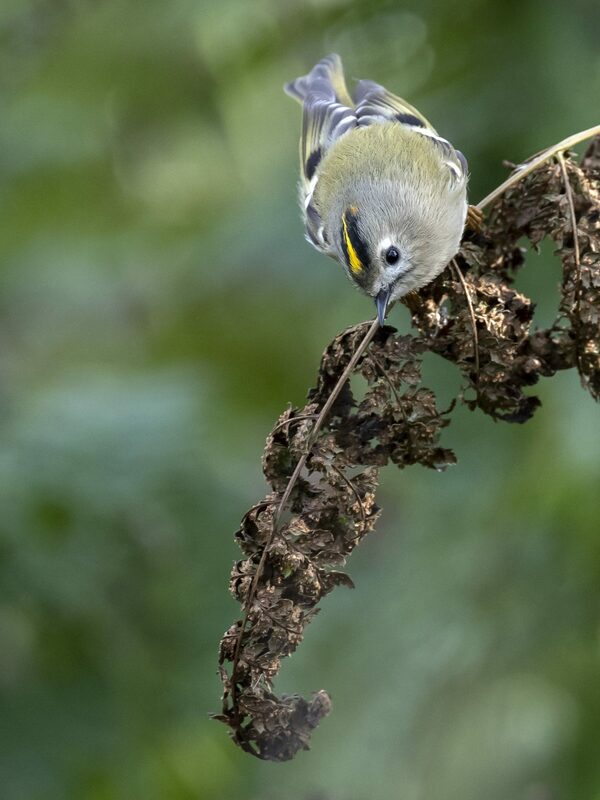 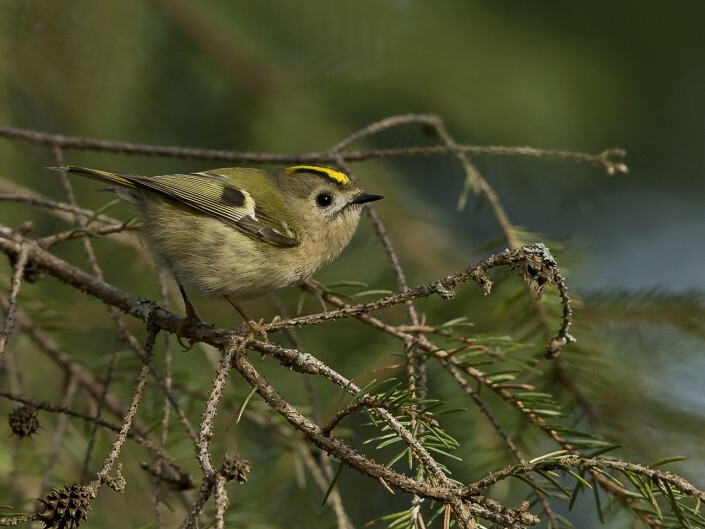 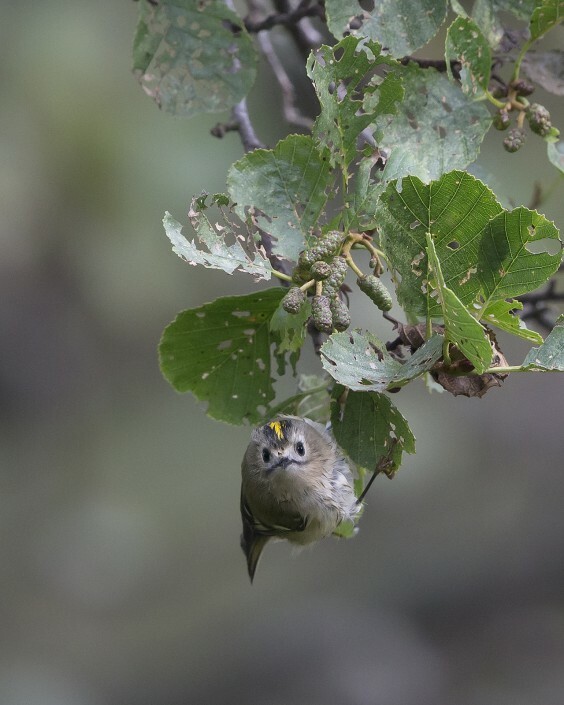 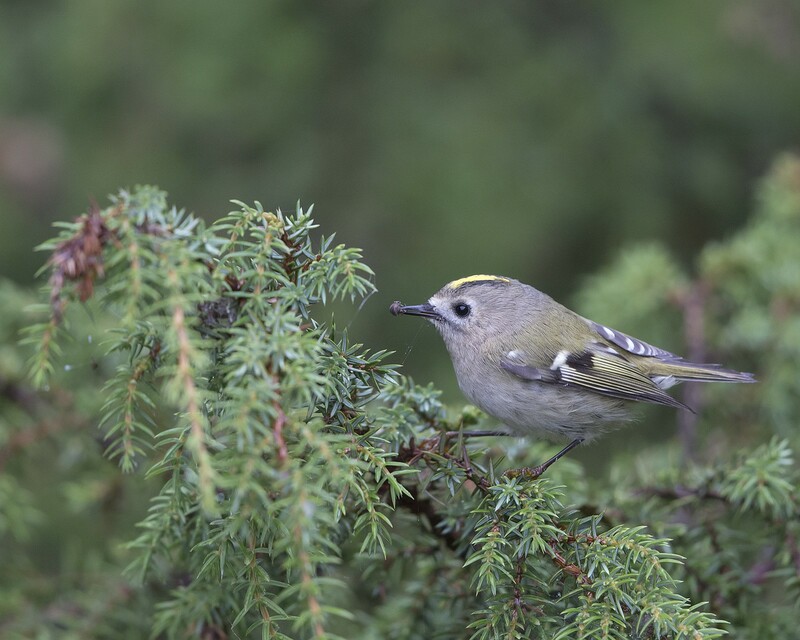 is a very small passerine bird in the kinglet family. 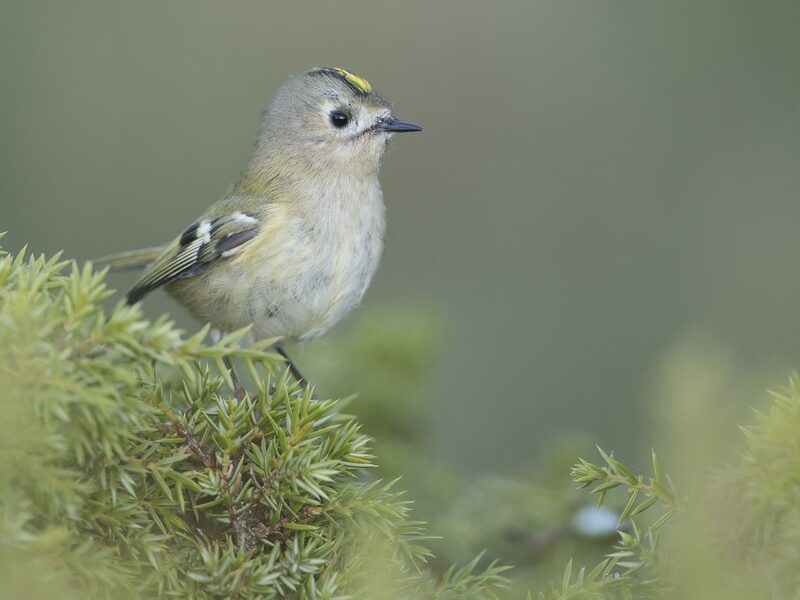 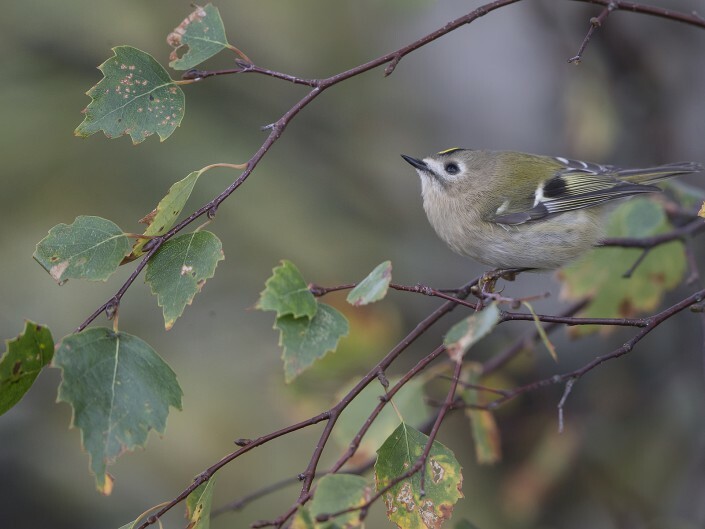 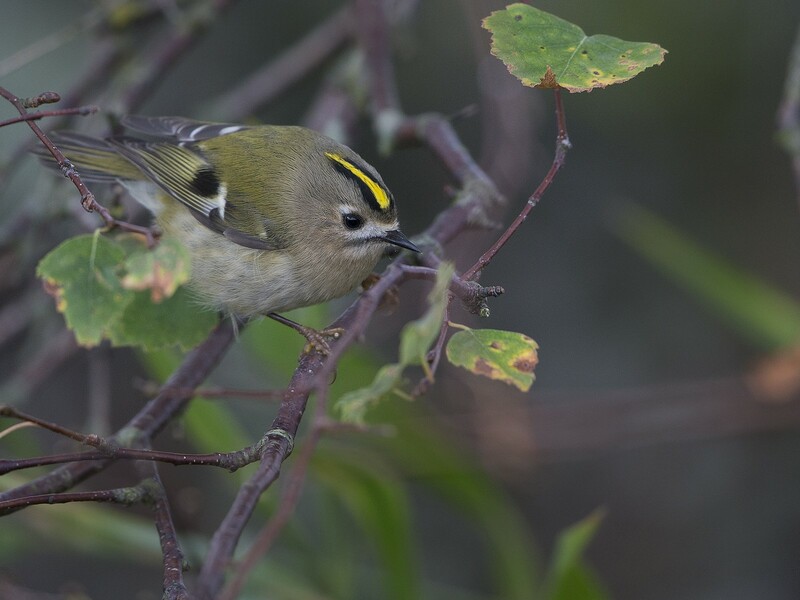 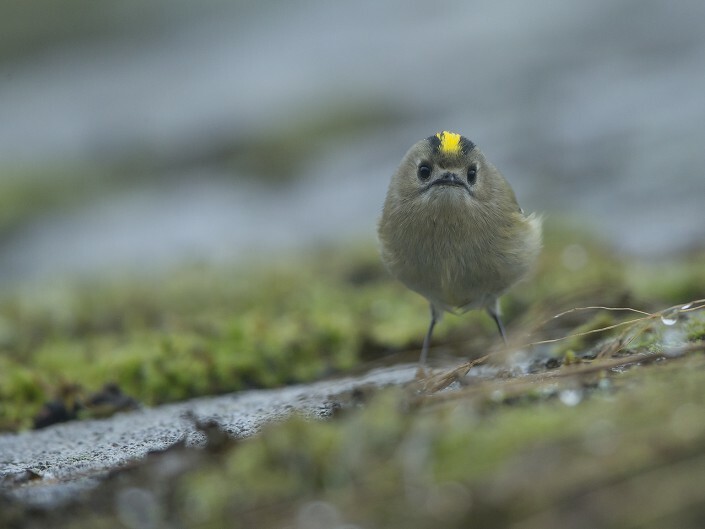 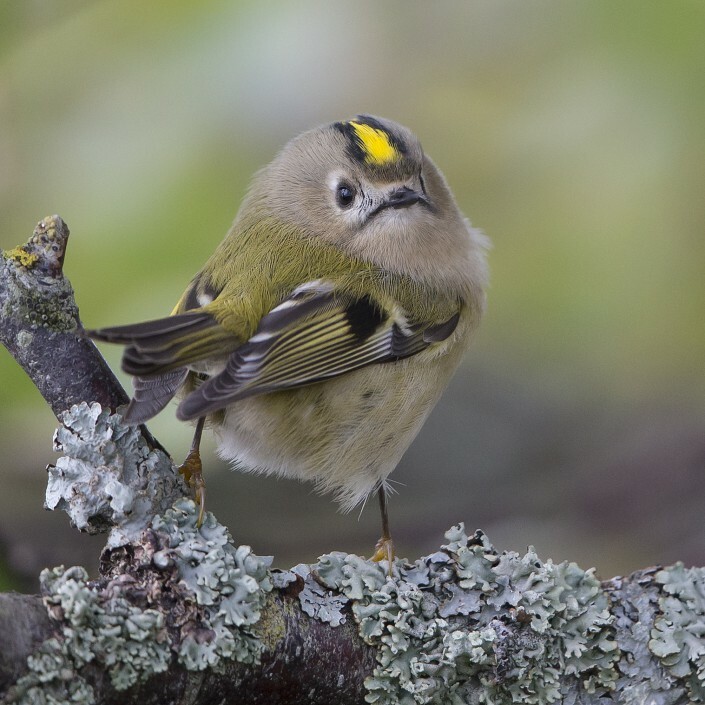 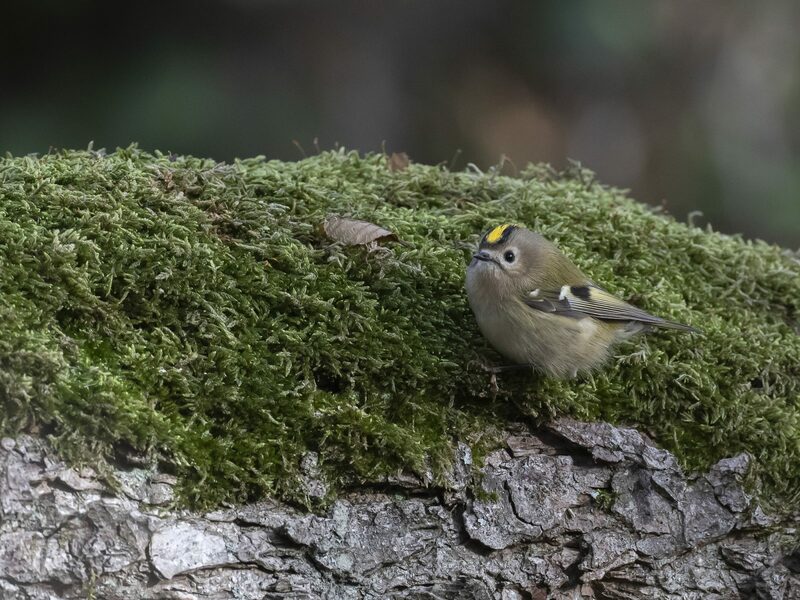 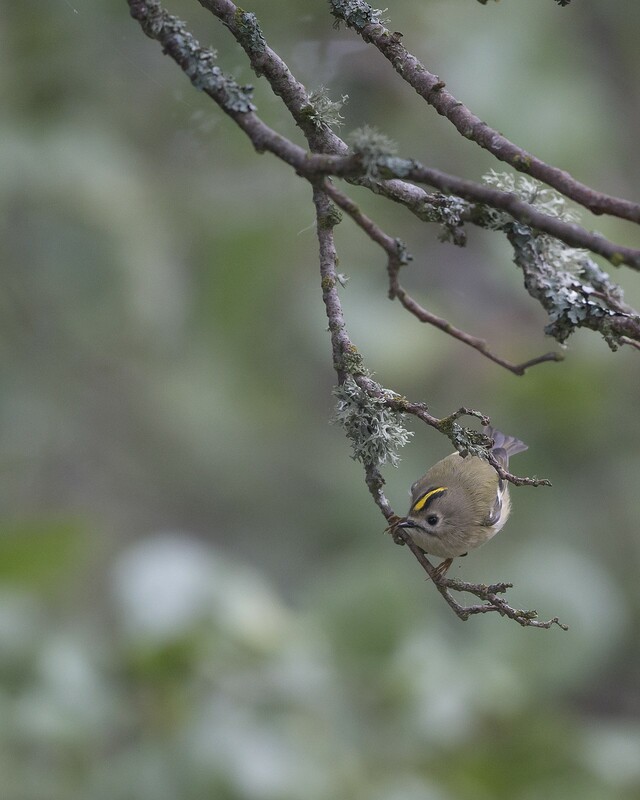 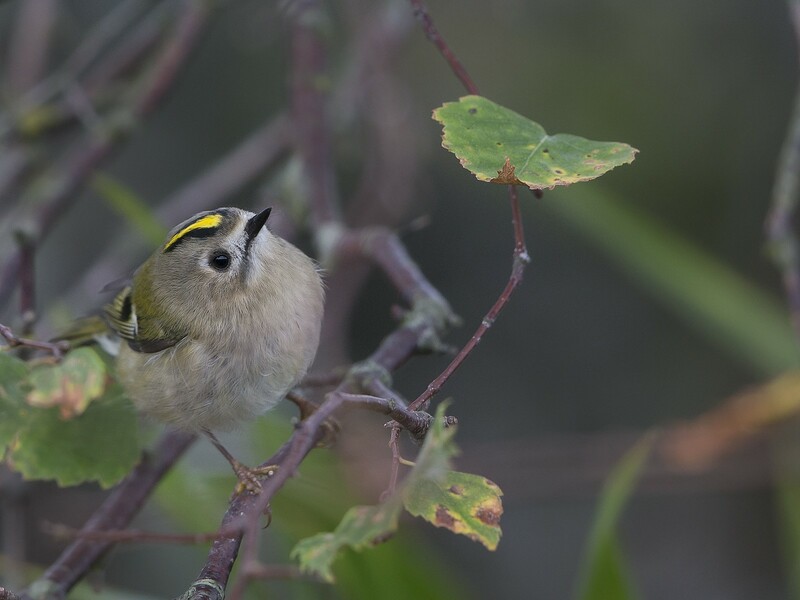 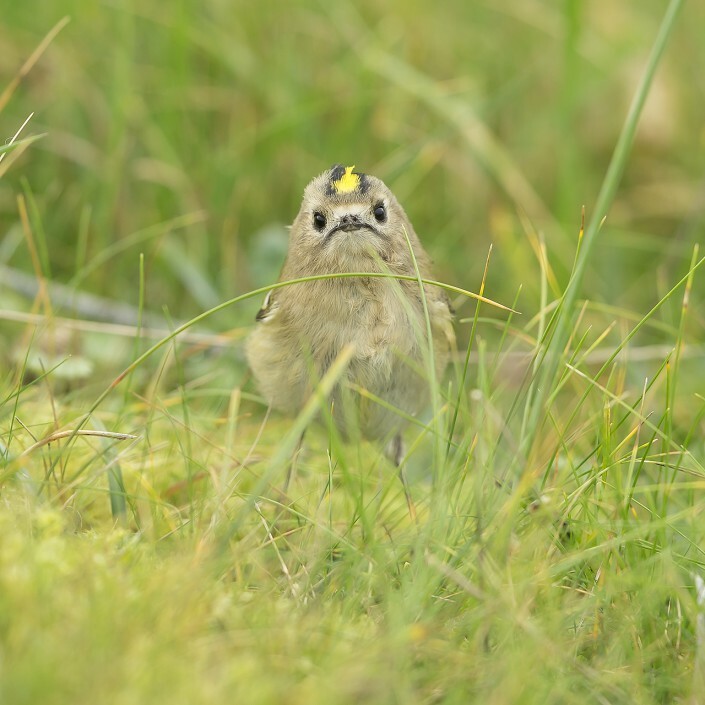 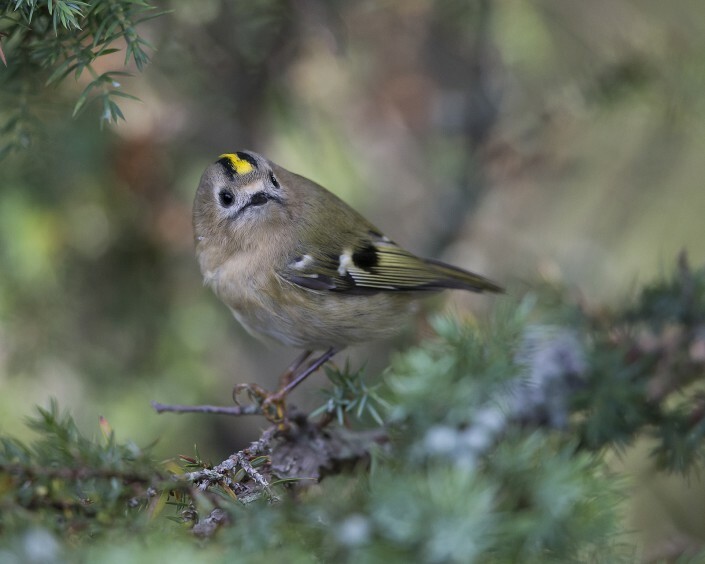 The goldcrest is the smallest European bird, 8.5–9.5 cm (3.3–3.7 in) in length, with a 13.5–15.5 cm (5.3–6.1 in) wingspan and a weight of 4.5–7.0 g (0.16–0.25 oz). 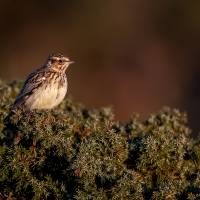 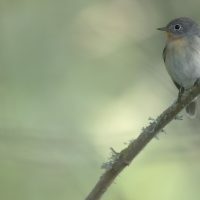 It is similar in appearance to a warbler, with olive-green upper-parts, buff-white underparts, two white wing bars, and a plain face with conspicuous black irises. 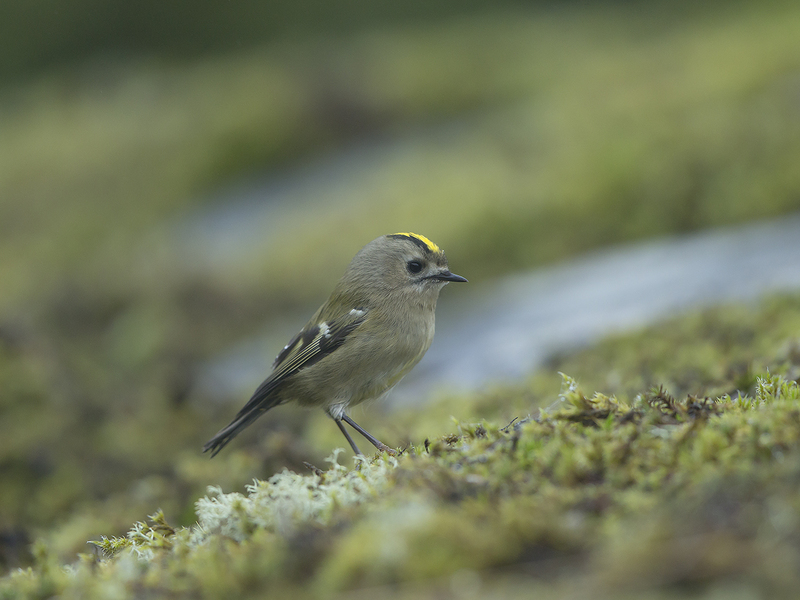 The crown of the head has black sides and a narrow black front, and a bright crest, yellow with an orange centre in the male, and entirely yellow in the female.